Our prayers follow patterns and teachings of the Lord Jesus Christ. He taught us how to pray. 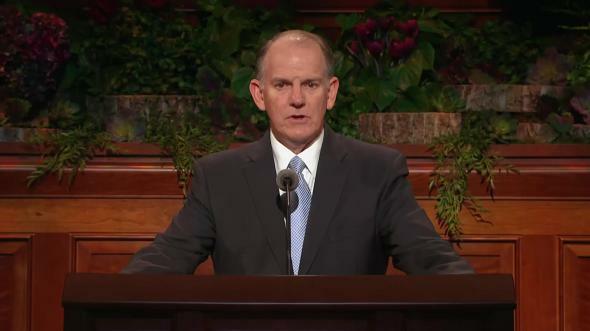 With you, my dear brothers and sisters, I express love and admiration for Elder Neil L. Andersen. 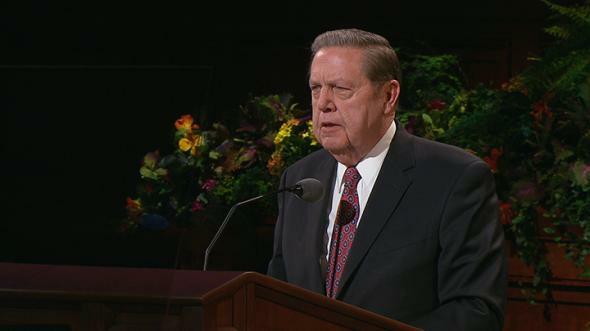 His call to the holy apostleship has come from the Lord as revealed to His prophet, President Thomas S. Monson. 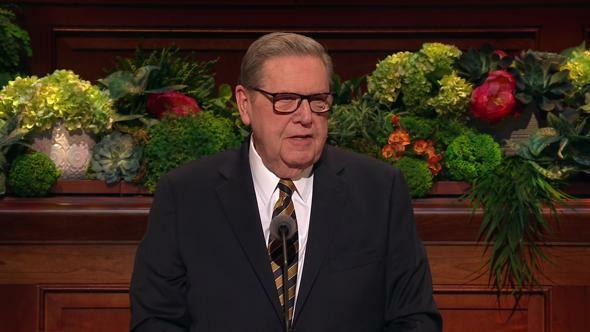 Throughout his life, President Monson has refined his ability to hearken to the will of the Lord. 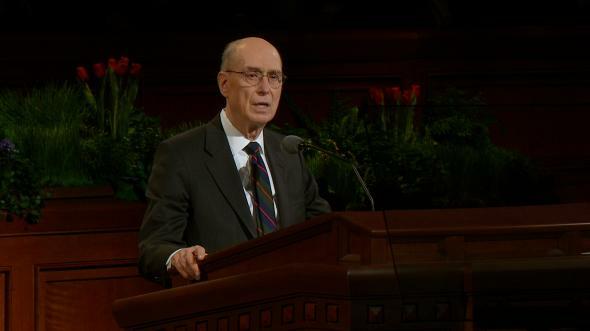 As the Savior submitted His will to Heavenly Father, so the prophet submits his will to the Lord. 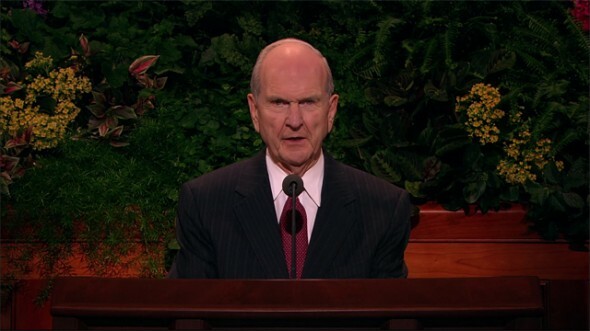 Thank you, President Monson, for developing and using that power. 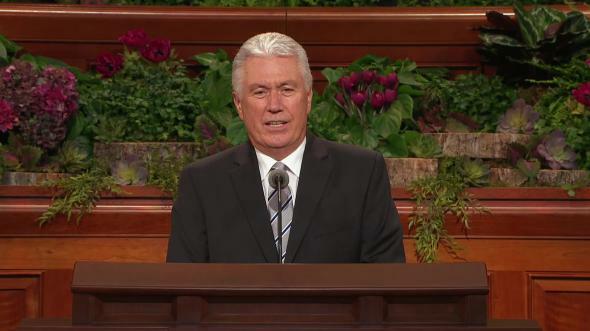 We congratulate you, Elder Andersen, and we pray for you! His request for “daily bread” includes a need for spiritual nourishment as well. Jesus, who called Himself “the bread of life,” gave a promise: “He that cometh to me shall never hunger.”10 And as we partake of sacramental emblems worthily, we are further promised that we may always have His Spirit to be with us.11 That is spiritual sustenance that cannot be obtained in any other way. The Lord prefaced His prayer by first asking His followers to avoid “vain repetitions”16 and to pray “after this manner.”17 Thus, the Lord’s Prayer serves as a pattern to follow and not as a piece to memorize and recite repetitively. The Master simply wants us to pray for God’s help while we strive constantly to resist evil and live righteously. “Father, I pray thee that thou wilt give the Holy Ghost unto all them that shall believe in their words. The concept of “too much and unnecessary” could also apply to the length of our prayers. 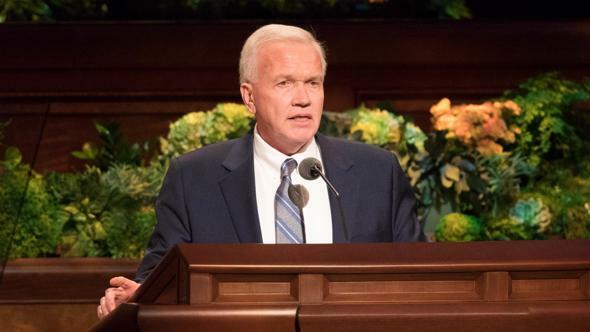 A closing prayer in a Church meeting need not include a summary of each message and should not become an unscheduled sermon. Private prayers can be as long as we want, but public prayers ought to be short supplications for the Spirit of the Lord to be with us or brief declarations of gratitude for what has transpired. In our daily lives and in our own crucial hours, may we fervently apply these precious lessons from the Lord, I pray in the sacred name of Jesus Christ, amen. The January 1976 issue of the Ensign was published as a “Special Issue on Prayer.” The sincere student of prayer will gain much from a study of those articles. See Matthew 6:9–13; Luke 11:2–4; 3 Nephi 13:9–13. See Joseph Smith Translation, Matthew 6:9–15. Joseph Smith Translation, Matthew 6:14. See Matthew 18:23–35; D&C 64:10. John 6:35; see also John 6:48, 51. See Moroni 4:3; 5:2; D&C 20:77, 79. See Revelation 1:18; 22:20–21. It is also used in confirming agreements (see 1 Kings 1:36). See Psalm 106:48; Revelation 5:13–14; 19:4; D&C 88:135. Matthew 6:7; 3 Nephi 13:7. Matthew 6:9; 3 Nephi 13:9. See 1 Timothy 2:5; 1 John 2:1; D&C 29:5; 45:3; 110:4. See Matthew 5:44; Alma 34:27; 3 Nephi 18:21. See 2 Nephi 32:9; 33:12; 3 Nephi 18:23, 30; 19:6–7; 20:31; 28:30. 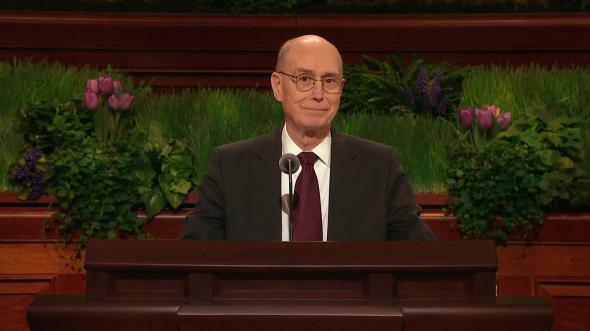 See John 10:27–28 (compare D&C 84:43–47); 2 Nephi 31:17–20; Alma 5:38. And we may invite the companionship of the Spirit, who will intercede and help us know what to pray about (see Romans 8:26). See Acts 14:23; 1 Corinthians 7:5; Omni 1:26; Alma 5:46; 6:6; 17:3; 17:9; 28:6; 45:1; 3 Nephi 27:1; 4 Nephi 1:12; Moroni 6:5. Joseph F. Smith, in Conference Report, Oct. 1912, 133–34. Joseph Smith Translation, Psalm 17:1. 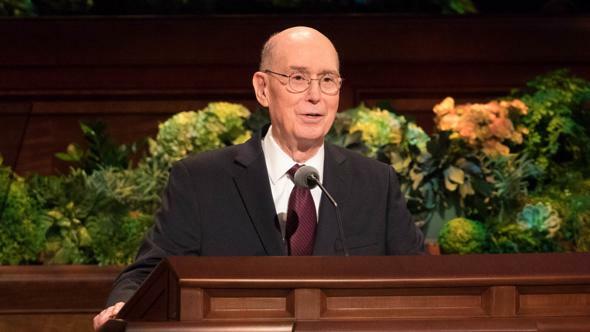 See Spencer W. Kimball, Faith Precedes the Miracle (1972), 201; Stephen L Richards, in Conference Report, Oct. 1951, 175; Bruce R. McConkie, “Why the Lord Ordained Prayer,” Ensign, Jan. 1976, 12; L. Tom Perry, “Our Father Which Art in Heaven,” Ensign, Nov. 1983, 13; and Dallin H. Oaks, “The Language of Prayer,” Ensign, May 1993, 15–18. Details of that language are explained by Don E. Norton Jr., “The Language of Formal Prayer,” Ensign, Jan. 1976, 44–47. 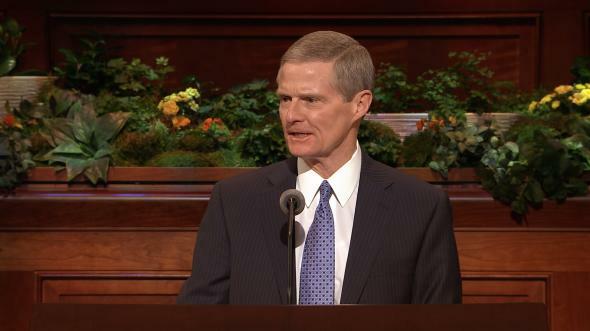 D&C 112:10; see also Psalm 24:3–4; Matthew 6:12; Helaman 3:35; D&C 64:8–10. See 3 Nephi 18:20; D&C 88:64. 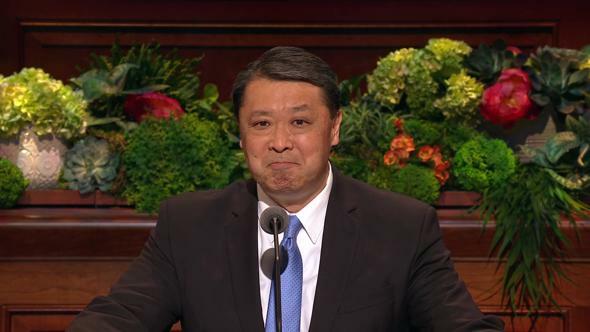 Alma 37:37; see also Philippians 4:6; Alma 34:18–27; D&C 10:5; 93:49. See Ensign, Jan. 1976, 11. 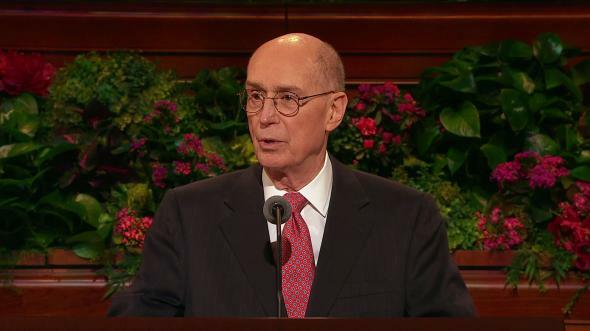 Thomas S. Monson, “A Royal Priesthood,” Liahona and Ensign, Nov. 2007, 61. See Matthew 26:42; Jacob 7:14; Ether 12:29; D&C 109:44; Moses 4:2. 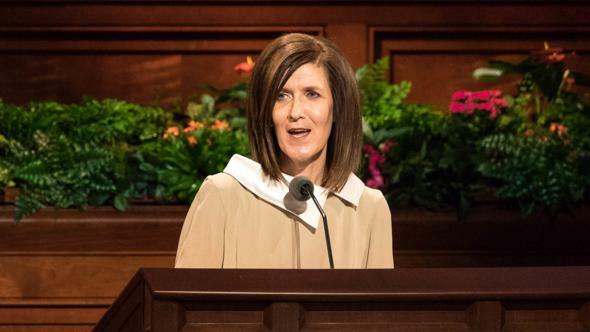 See 3 Nephi 27:13–15, 21–22. Matthew 26:39; see also Moses 4:2, which indicates the humble attitude of our Savior from the beginning.